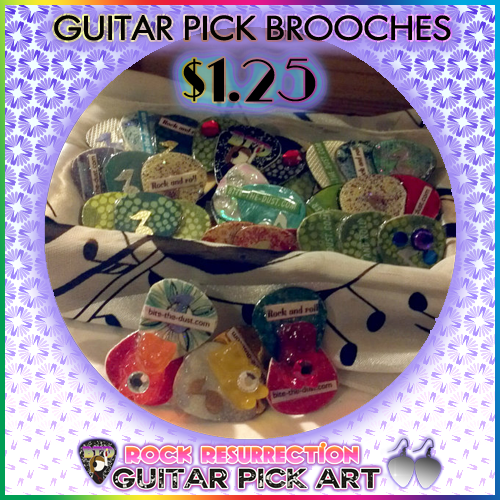 One of the most popular items in my shop are my guitar pick brooches! Each brooch is unique and made from re-purposed materials and hardened in epoxy resin for a plastic coat. Please note that all brooches have words on them, if you want a different kind of brooch and would like something custom made contact me!